Cast iron masonry bolts. 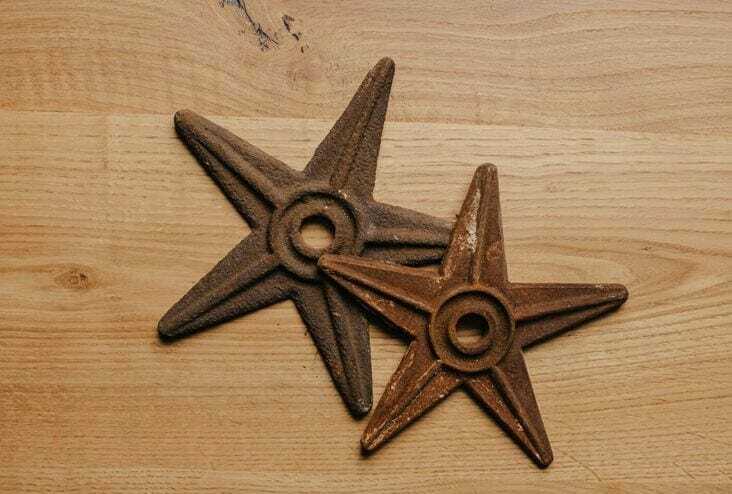 These stars were originally used to prevent bulging and bowing in brick walls. Sizes vary slightly.